We are blessed to have our meal everyday. But there are thousands of people suffer to find their everyday meal to survive. Why we do not value the blessing that we have? Food wasting is common in many houses. Here we can start to spread the word to not to waste food. At least few among us will start to think about it. This is a challenge. But as a community who love cooking & looking for new recipe ideas, we can start spreading ideas for minimizing food wastage. With that in my mind, I thought of collecting ideas & recipes from you all & to organize a Blog event. 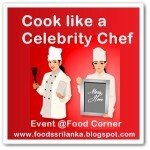 As usual a Blog event will end up with a recipe round up. However I am planning to do the round up & also collect all entries to an e-book which can be distributed freely. Even via email to our friends & also via my newsletter which I am planning to start in near future. The aspect is to spread the word ‘Not to waste food’ among people starting from our family. I hope you all will participate with this. This is how the event is going on. Think how we can reduce food wasting in our kitchen. It can be a new recipe to use leftover cooked food/leftover uncooked ingredients or it can be menu planning. 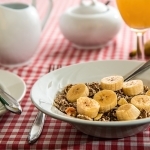 Simple food storing tips will help to reduce waste too. There may have shocking stories/experience that you have faced & converted you to not to waste food. Send me those as entries to the event. Email it to me even it is a few words food tip. 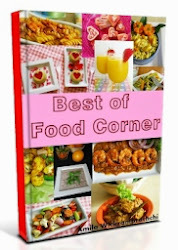 Send the entries to slfoodcorner@gmail.com with following details. Send as many as recipes & tips. Wherever possible, use the event badge in your Blog posts with a link to this post. If you do not have a blog, simply share this post in your facebook page or personal account. This is just to spread the word of this theme. But not mandatory. Closing date is October 31st.Hope I will receive enough entries from you. Again, this is a challenge!! Love your food-Don’t waste it!! Hey great idea.Count me in. great idea !!! Will send my entries ……. wow!! I am so happy with these replies!!! waiting to see all your entries…. That is a very thoughtful event… I will send mine for sure..
Nice theme! Thanks for the invite. Will try to participate. wonderful idea and really loved the theme and concept, a great initiative Amy, thanx for stopping by my space and will surely send my recipe soon..
Amy,,,I have a lot of recipe from leftover on my blog,so ,,,yup i will choose some of them this week to participate,and thanks for the invite. 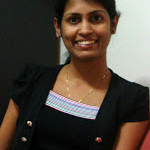 Thanks dear all,I am waiting for your entries…. This is indeed a lovely event.. not just creating something interesting with left over but in also creating awareness of how not to waste food and appreciate how blessed we all are..:) Loved it. Thanks for visiting my blog and for your kind words, otherwise I would have missed your blog..
Will surely send in some entries..
Hey! sent in my entry.